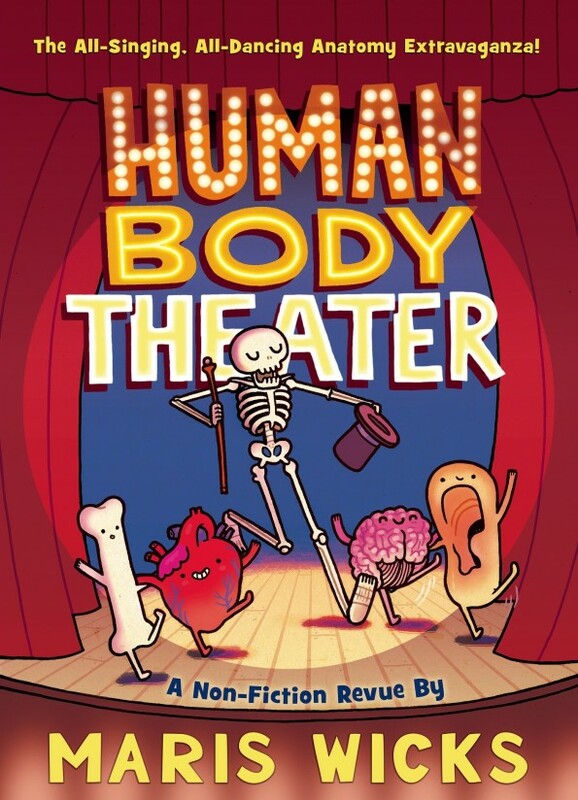 Today at Growing with Science blog we have two books nominated for Cybils Awards in the Elementary/Middle Grade Nonfiction category, both of which happen to be happen to be about octopuses. First up is the informational picture book Octopuses! 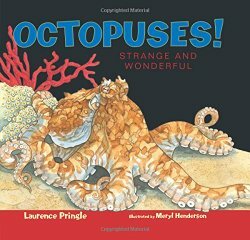 : Strange and Wonderful by Laurence Pringle and illustrated by Meryl Henderson. Octopuses! gives a wonderful overview of the biology of these fascinating creatures. The author first explains that octopuses are mollusks and discusses some other common mollusks. Then he gives a detailed description of the anatomy of a typical octopus and some of the different kinds. Other topics include what eats octopuses (predators), how they hide by changing colors (camouflage), and what octopuses eat. The author also explains the life cycle in some detail. It is a perfect choice for young readers wanting to learn more about these amazing animals. 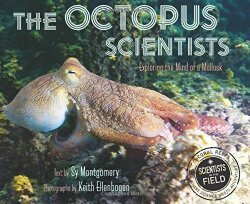 The second book is for slightly older readers, The Octopus Scientists: Exploring the Mind of the Mollusk (Scientists in the Field Series) by Sy Montgomery and photographs by Keith Ellenbogen. As with the other titles in the Scientists in the Field series, the focus is as much on the scientists who study octopuses as the animals themselves. In the first chapter we meet four scientists who have devoted their lives to researching these amazing creatures. Canadian Jennifer Mather wanted to study marine biology, but found resistance in what was perceived as a “man’s” field. Instead she became a psychology professor and then applied her studies to octopuses. American David Scheel studied lions for his doctorate degree, but when he couldn’t find a job working with lions, switched to marine biology. Tatiana Leite is a professor of marine ecology in Brazil. Keely Langford works at the Vancouver Aquarium. The rest of the chapters document their efforts to find and study the local octopuses around the island of Moorea in the Pacific Ocean, while at the same time revealing details of octopus biology. For example, their excellent camouflage skills that protect the octopuses from predators also make them hard for scientists to track down. Often the scientists look for the shells left behind from when the octopuses feed, piles called middens, for clues of their whereabouts. Categories: Science | Tags: books about octopuses for kids, Octopuses!, The Octopus Scientists | Permalink. the air, on the ground. Author Crispin Boyer brings us to the topic of death immediately by introducing us to our guide, none other than the scythe-wielding guy himself: Timothy. But before tossing us into deadly situations, this personable grim-reaper takes a moment to tell us how to use the book. Sorta like the intros you find in field guides. 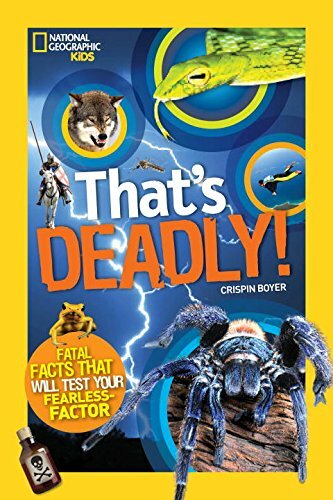 So you’ll find the usual warnings (this stuff is deadly – don’t do it at home), a handy list of “terminal terminology”, and a Kill-o-Meter that rates the degree of deadliness from risky to run for your life. 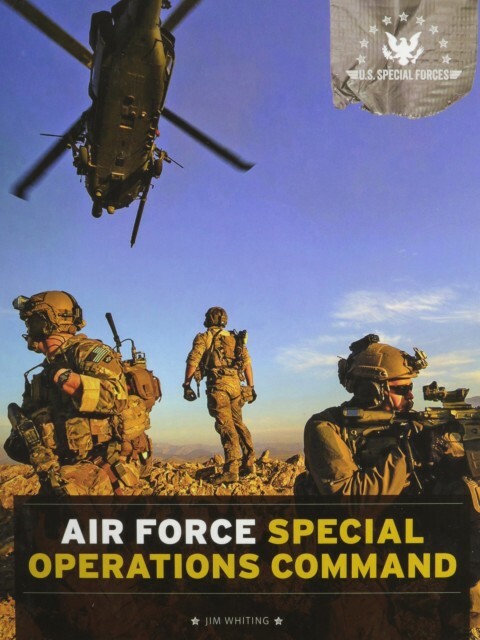 The book is conveniently divided into chapters on the ways you may meet your end: plagues, things that bite, extreme sports, natural disasters…. too many to list, but you get the idea. Pages are filled with photos (it is, after all, National Geographic!) and there are enough sidebars and text boxes to fill a journalist’s heart with joy. Not only does Timothy include important stuff like official rules for dueling, but he sprinkles “fatal facts” throughout the chapters. Plus he answers the ultimate question: pirates or ninjas? Tim the Grim Reaper also interviews folks, like Stephanie Davis who enjoys wingsuit skydiving. And for those of you thinking about future careers, he lists America’s most dangerous job. Then there’s killer toys, killer cars, and an entire killer continent. There is, of course, a killer “final exam” at the end, and a few Last Words uttered by famous people. Caution: Read at your own risk! Who will scrub his pointy smile? 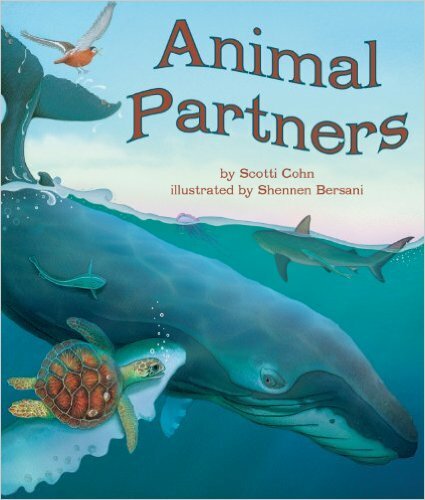 This book is a collection of poems that examine partnerships between animals. Usually, animals hang out with others of their kind. But sometimes one species associates with another if there’s something to be gained. The crocodile mentioned above allows a small bird to hop into its mouth and clean between his teeth. 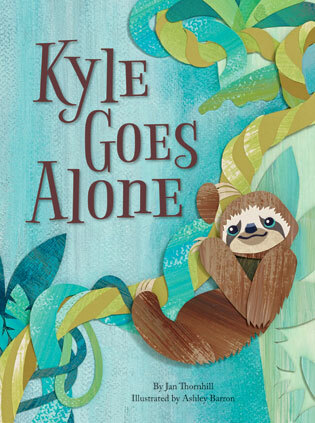 In another poem, a sea turtle laments the barnacle attached to its shell, while another investigates a partnership between warthogs and mongooses. What I like about this book: The poems are fun, short, and snappy. And the author explores different poetic forms. I like that there’s backmatter: the author describes different types of symbiosis and gives examples of each kind from the text. There’s a “match the animal partners” game and a “name the habitat” challenge. But I wish there was a page that described the different creatures. Especially the pseudoscorpion, a tiny arthropod I’ve come to know. Head over to Archimedes Notebook to check out Beyond-the-Book activities. If you want the sun, the moon, and the stars, you should go to Mr. Cruz’s classroom. His class is working on making observations and noticing patterns in nature. The first pattern they notice is day and night. Mr. Cruz leads a discussion of the movement of the Earth which makes it look like the Sun is moving. Using a flashlight and a globe, he explains how the sun shines on only part of the planet at a time. Blue boxes on each spread add facts to the narrative. On this spread, readers learn that it takes the Earth 24 hours to spin around once, which is another pattern. Moving on to the moon, the class views a monthly chart of the phases of the moon. Stocked up on AA batteries, Mr. Cruz uses his flashlight, the globe, and a small model of the moon to explain how light from the Sun shines on the moon. Finally, the class discusses stars, why we can’t see them in the daylight (Except for the Sun. ), and how they have patterns as well. Does the Sun Sleep? does a great job of explaining information about space in simple language, but also doesn’t shy away from using vocabulary like horizon, waxing, and waning. This is a good text to share with first graders who study patterns and cycles in space. The illustrations are terrific visuals that help explain the facts given in the text. First graders will especially like the phases of the moon chart. Grab your flashlight and follow Mr. Cruz’s lead! Check out other reviews at NC Teacher Stuff.